Cement mixing plant at the time of construction work has certain operational procedures, so operators must be in accordance with operational procedures to operate the concrete mixing station so that it will be better to work! 1) portable mixers park must choose flat ground, also should have good drainage ditches around the batching plant. 2) after setting the cement mixing plant, put down leg and jack the frame, to make the tyre from the ground.In long period construction project, it must will be set up by stow-wood, then remove tires and traction rod, and put the machine stability. 3) the hopper in the lowest position, between the hopper and the ground should add a layer of cushion wood. 4) when connecting, check whether the power supply voltage stability. Voltage fluctuation shall not exceed 5% of the mixer electric regulation. 5) during working process, should first no-load test, the mixing barrel and blade direction of rotation is consistent with the direction of arrow. What maintenance measures are in the concrete mixing station? 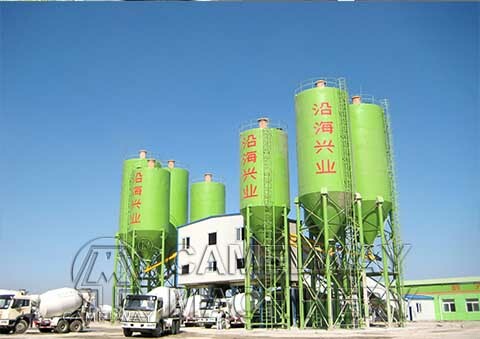 What is the Significance of Maintenance of the Concrete Mixing Plant?